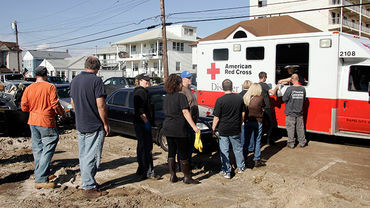 American Red Cross has been reluctant to make public details over how it raised and spent over $300 million in Hurricane Sandy relief funds. The charity's lawyers say the disclosure would inflict "competitive harm" on the group. Is the Red Cross now a business, that it worries about "competitive harm"? Lack of transparency is far more harmful to their capacity to raise funds .... unless, of course, they are using illegal or unethical methods. Being a Christian backed organization, the possibilities are endless.